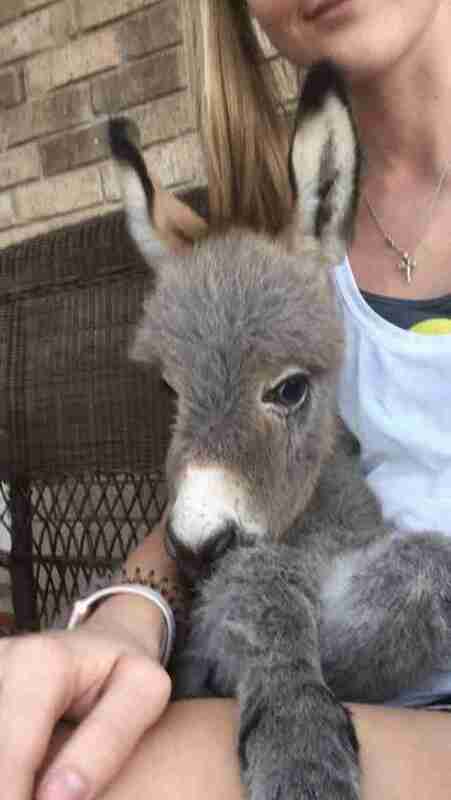 It's fair to say that Payton Dankworth never expected she'd one day become an adoptive parent to a lonely baby donkey — but it's a role she's embracing with all her heart. And her kindness has already changed a life. Two weeks ago, Dankworth, a junior in high school from Texas, got a call from a friend who lives on a horse ranch. 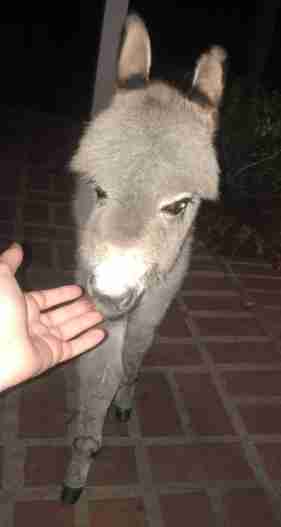 While out for a ride, he'd happened upon a starving baby donkey who'd evidently been abandoned by his mother. Unable to care for the youngster himself, Dankworth's friend reached out to her for help. "He asked if I would like to try keep him alive," Dankworth told The Dodo. "He told me that he wasn’t in very good health and he probably wouldn’t make it through the night. 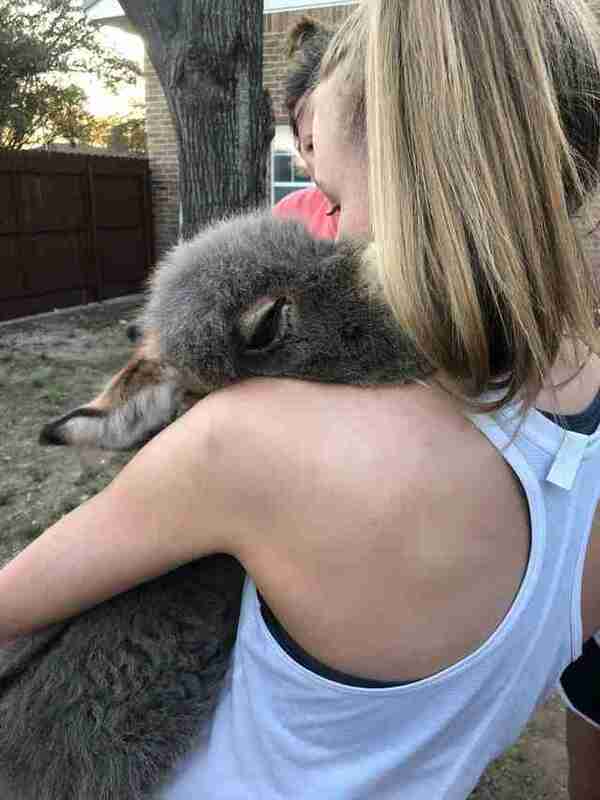 I am such an animal lover, and there was no way I was gonna let that baby die." That's how Dankworth first met Jack. 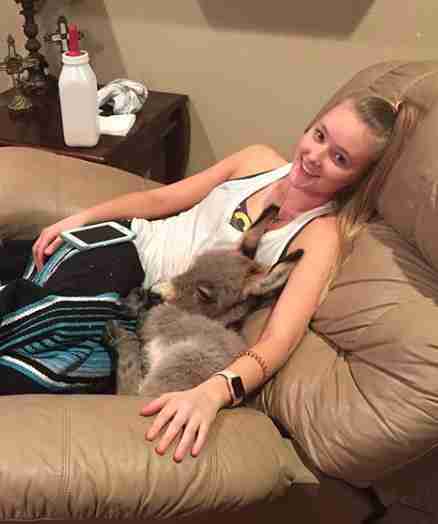 The first night in his new home was indeed touch and go for the emaciated animal. Dankworth stayed up all night to cuddle with Jack and slowly introduced him to food, which he'd so long been without. Soon, a touching bond began to form. Jack had found his place. 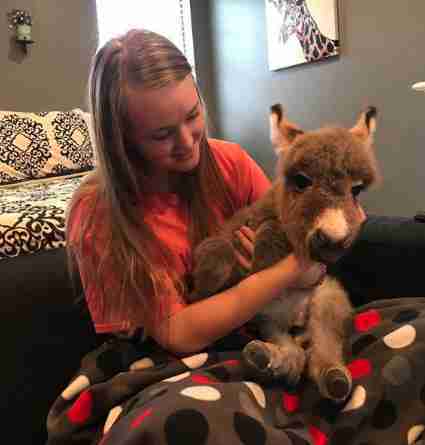 "This was the first time I have ever taken care of a donkey," Dankworth said. "Jack has shown me that he depends on me, and he really does," Dankworth said. 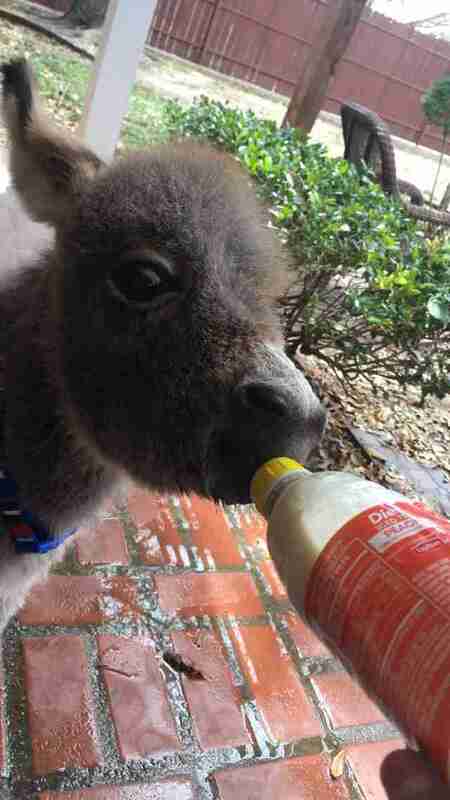 "He gets a bottle about every two hours, and when I feed him it just makes me happy." Thanks to those regular feedings, and plenty of love and affection, Jack began to blossom. Now, just weeks after being rescued from the verge of death, Jack's zest for life is uncontainable. As unlikely as it may have seemed at first, Jack is now a bona fide member of Dankworth's family. "He's fitting in so well!" Dankworth said. 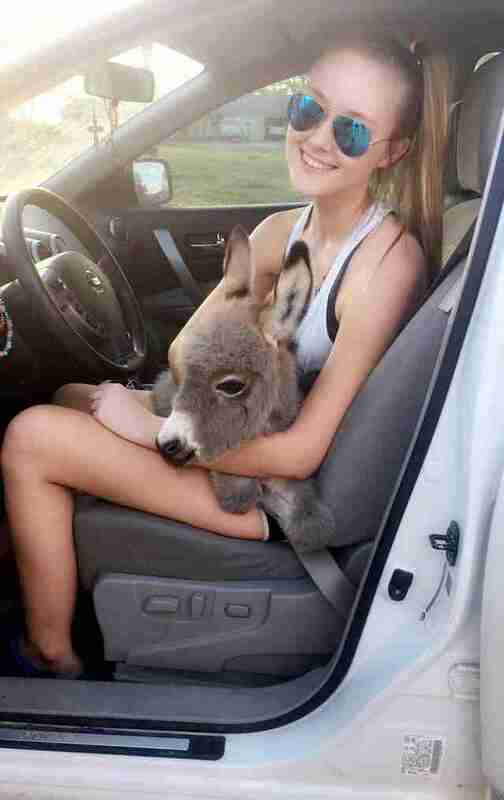 "I take Jack on walks and he rides in my car with me, too. He’s kinda like a dog and follows me everywhere." 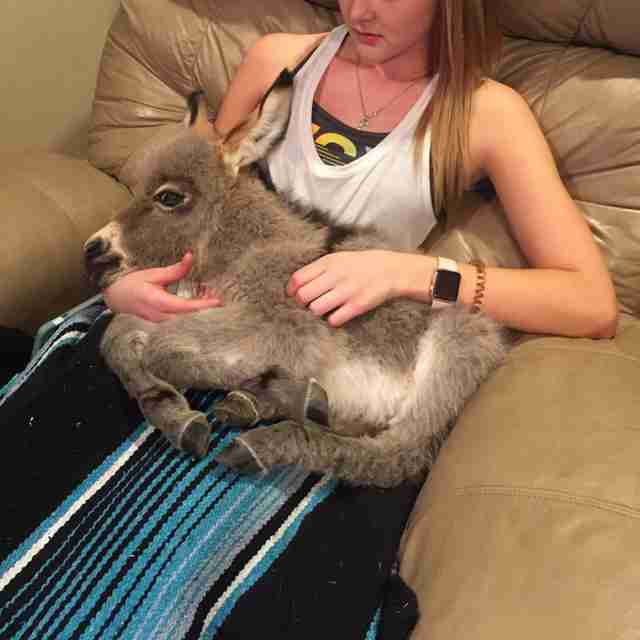 Fortunately, though Dankworth's family hadn't intended on adopting a donkey, they have plenty of space on their property to accommodate him for a lifetime. But not only has Dankworth changed Jack's destiny, he's helping to shape hers as well. Up until recently, Dankworth hadn't been sure about what field of study she'd like to pursue after graduating from high school. 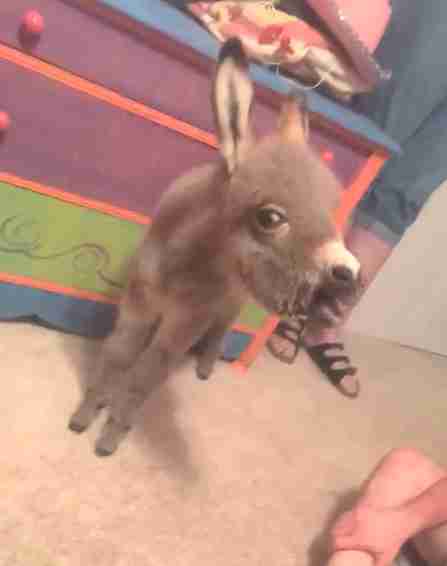 Now, as a result of her experience saving a baby donkey's life, she'd like to work helping other creatures for a living. "Jack has really inspired me to go into that because I just love animals," she said. "Seeing how far he has come — from barely having enough strength to stand up to now being able to run around and chase my dogs — is one of the greatest things I could ever ask for. I'm so proud." Keep up with Dankworth and Jack's future adventures by following them on Instagram.